We are a family business celebrating 30 years of experience we are not your regular wig shop! We try to understand our customers’ needs, to assist them in making the right decision. The proof is in the returning customers and referrals from health care professionals and Hairdressers. We are small enough to care, but big enough to cope! One to one consultations in our private fitting room (appointments are required). Continually trained by top specialists. We are a Trevor Sorbie/My New Hair & NHS approved Wig Salon. We offer a personalised service including customising and cutting of wigs. Full aftercare service is also available. Our wigs exceed all expectations, are natural looking, realistic in appearance, stylish and comfortable. 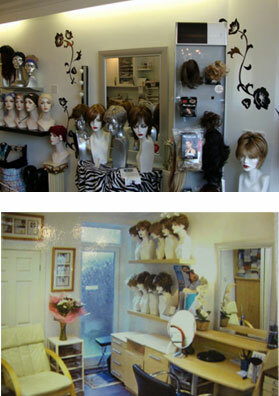 Our wigs are low maintenance, and made of human hair or high quality modacrylic fibre. We stock hundreds of wigs, lots of different brands. We can also custom design your wig to suit your needs. Let us guide you through the daunting but positive process of choosing the correct wig or hairpiece. Whether it be hair loss from chemotherapy, alopecia, lupus, tricolatilliamania, male pattern baldness, scars, burns, transgender and cross dressers to name but a few, or purely for fashion purposes! For further information or to book an appointment at our shop call us on 023 9266 2156, email natalie@trelogganwigs.co.uk or ask me a question?